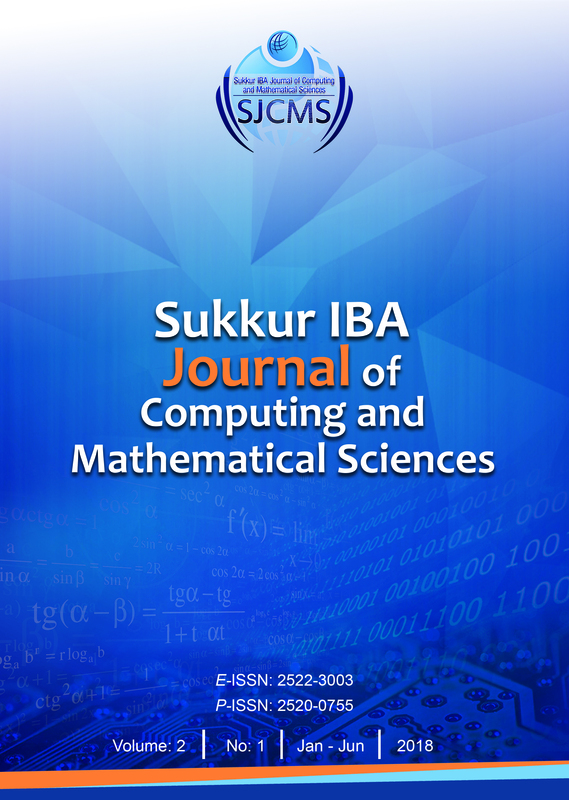 It is pleasure to present to you the first issue of volume 2 of Sukkur IBA Journal of Computing and Mathematical Sciences (SJCMS). In today’s globalized, interconnected world, information, and computational sciences provide a variety of tools that have great potential to contribute for creating a prosperous and inclusive society. The modern tools and techniques to solve the complex problems of the world we living in, are the outcome of advances and innovations in various fields of computing where the mathematical science remains at the core of all developments. The SJCMS aims to publish cutting-edge research in the field of computing and mathematical sciences for dissemination to the largest stakeholders. SJCMS has achieved milestones in a very short span of time and is indexed in renowned databases such as DOAJ, Google Scholar, DRJI, BASE, ROAD, CrossRef and many others. This issue contains the double-blind peer-reviewed articles that address the key research problems in the specified domain The SJCMS adopts all standards that are a prerequisite for publishing high-quality research work. The Editorial Board and the Reviewers Board of the Journal is comprised of renowned researchers from technologically advanced countries. The Journal has adopted the Open Access Policy without charging any publication fees that will certainly increase the readership by providing free access to a wider audience. On behalf of the SJCMS, I welcome the submissions for the upcoming issue (Volume-2, Issue-2, July-December 2018) and looking forward to receiving your valuable feedback.